To go from a simple blog to a major business or news site, you’ll need to customize WordPress a bit (or a lot). New users sometimes experience WordPress’s initial limitations and panic. Don’t worry: with a little know-how, you can customize WordPress to do just about anything. Posts? Posts? Posts? Everything on WordPress is posts, and I want to put up something else. In ancient times, people got a bit spooked by things they didn’t understand. Lightning. Fire. Puberty. Coleslaw. Just about everything had mythological (and not entirely factual) explanations. 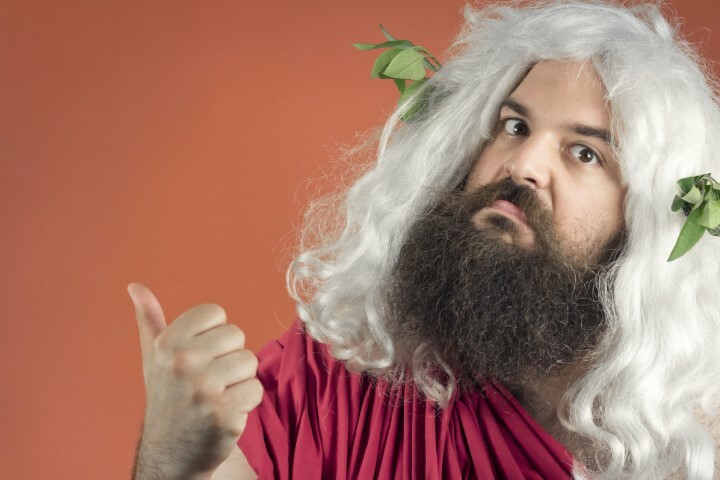 Today, we’ve replaced those gods with technology platforms like iOS and WordPress. But in the process, these platforms have developed their own mythology. In this series, we investigate the truth beyond some of WordPress’s most persistent myths. 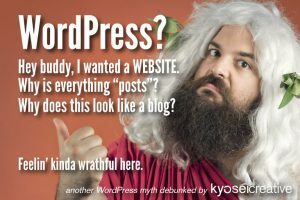 Read more WordPress myths here. Again, out of the box, WordPress is just a blog. And it’s kind of got an identity crisis. We covered that here and here. On a new install, the only types of content you can manage are posts and pages. And (not to confuse you) pages are actually just a type of post. What? Actually everything on WordPress is a type of post. When you install WooCommerce, WordPress’s favourite eCommerce solution, even “products” are technically a type of post. Amazing? I guess. Confusing? Definitely. But, although everything on WordPress is handled as a post, all posts are not the same. Let me introduce you to the custom post type. A custom post type can store any type of data you want, and – in a pinch – be displayed any way you want on the front end of your site. With a combination of plugins or some custom coding you can store, manage and serve any type of data you can imagine. If I go with WordPress, I’ll be locked into some theme with limited options. WordPress is huge, and there are thousands of options for themes. Many offer a greater or lesser degree of internal customization. However, if you want to go beyond the limitations of a theme, you’re not doomed. There is a large (and ever-growing) number of front-end developers and designers that work primarily with WordPress. With their help, you can either create the theme of your dreams from scratch (for a price) or customize an existing theme to suit your needs (quicker and cheaper). I’ve used WordPress before. It works fine, I guess, but the backend is ugly and I hate it. Not everyone loves WordPress’s backend features and, to be honest, if you’re using a lot of plugins, the backend can get really overwhelming. Thankfully, there are many, many ways to customize WordPress’s dashboard experience – from creating new user roles that limits what is seen depending on the role, to minimizing visible content and changing colours and icons. Just explore the plugin repository and see for yourself! Okay, what else should I know? WordPress is spelled WordPress with a capital P for “press”. You can’t actually type it with the internal lowercase P in WordPress (it autocorrects). I just tried. It doesn’t work. WordPress may not be the perfect CMS for every need, but there’s a reason why it accounts for a quarter of all web content: it’s flexible, customizable, reasonably fast and pretty accessible. It’s not perfect, but it’s getting better all the time. Got questions? We got answers. Ask Kyosei here or on our Facebook page!